1 Centre Street is located in Manhattan and was completed in 1914. This building was designed by McKim, Mead and White and stands 580 feet tall with 40 floors. This pewter replica stands just over 4 inches tall and is finished in new pewter. This model's scale is 1 inch = 150 feet.For more pics check out our special February blog. 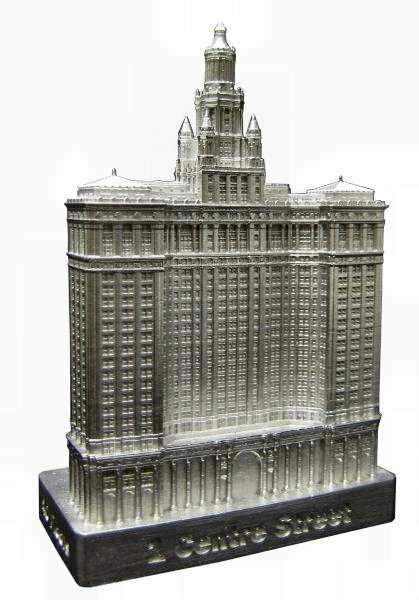 This is such a beautifully designed building, I was amazed at the level of detail the model has! Like the real thing, you can admire this in your collection thanks to its fine details. Love this piece.